It was that time of year! 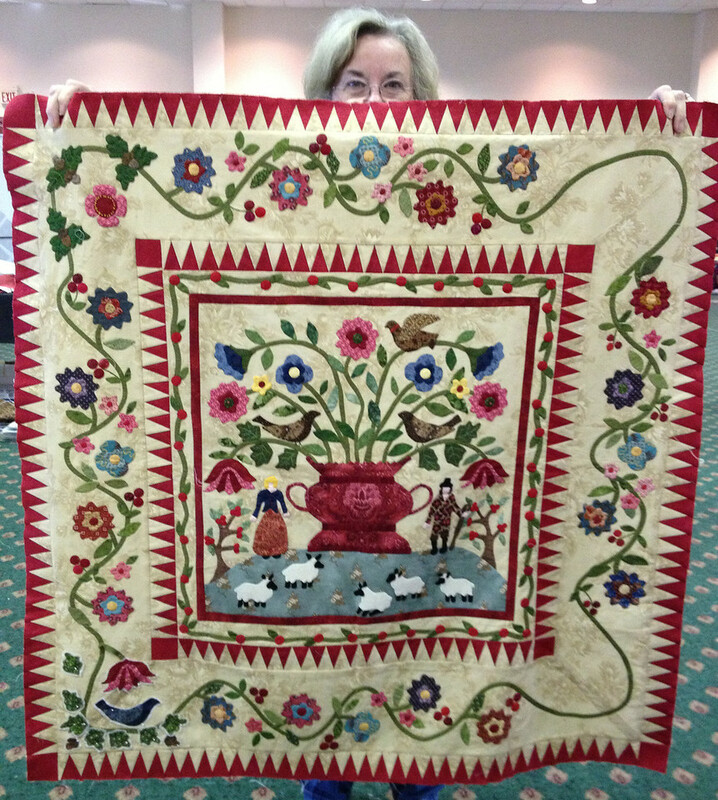 January arrived and my much anticipated quilt guild retreat arrived with it. I say it every year, but it deserves a resell, this retreat is my favorite. This year was more special than most because my daughter flew in to join me. 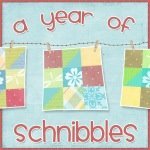 It was a long weekend (Thursday - Sunday) of quilty friends and inspiration. 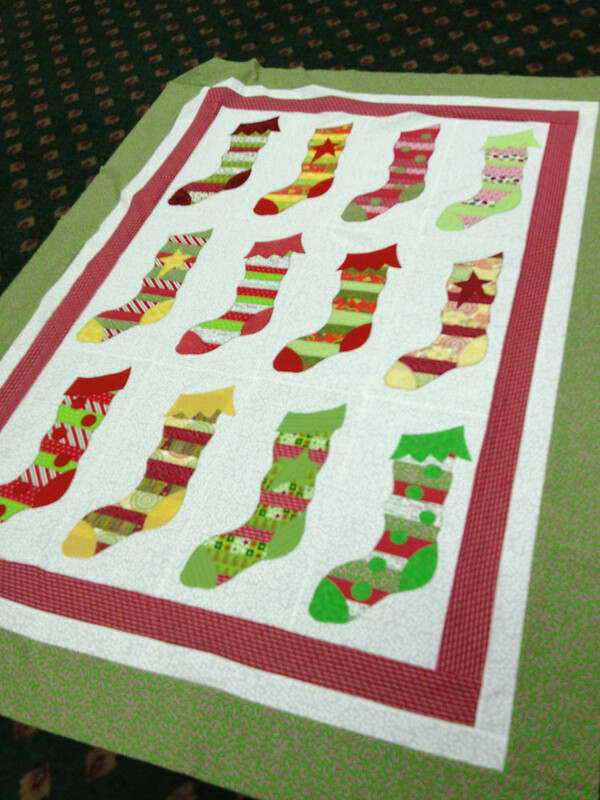 Can you beleive the above quilt is the result of a round robin? I told the owner that I needed to be part of her round robin group. It is just breathtaking. 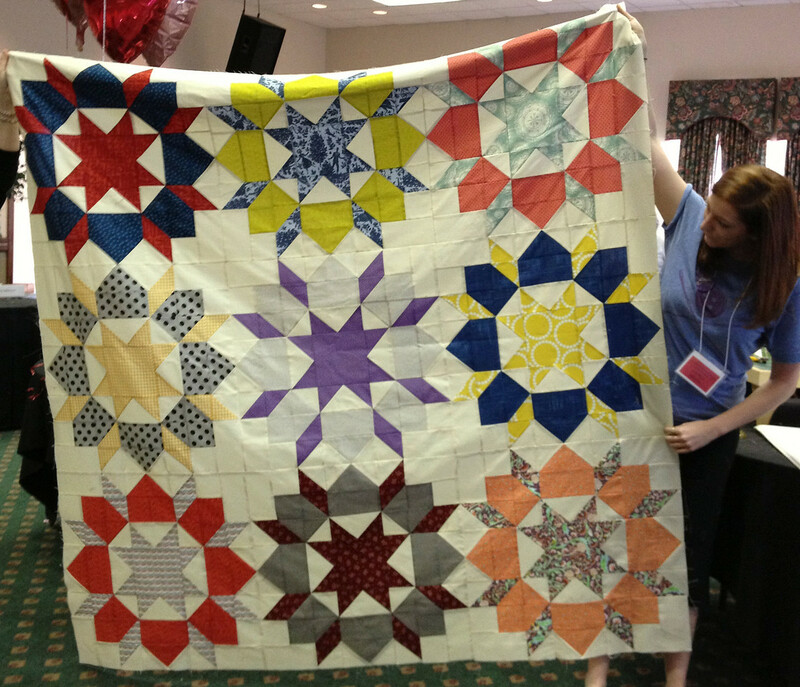 This quilt was started last year and it was completed during this retreat. 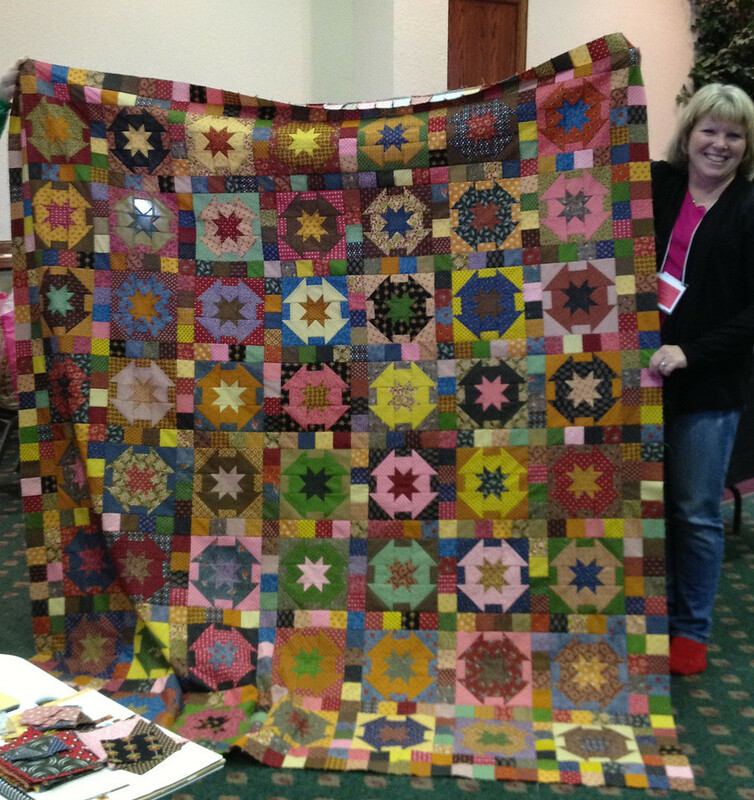 Rachel came to retreat for one day but was able to finish her Swoon quilt. 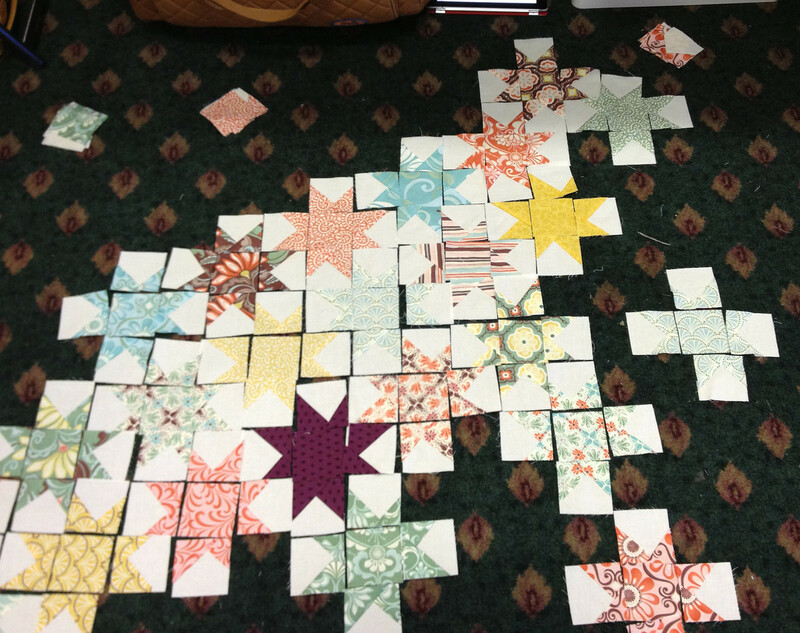 Although Xmas was over, we had a few getting a jump start for this year's quilts. This quilt was a mound of fabric when it arrived on Thursday. She finished the whole quilt during the retreat. I was super impressed. This is in my life bucket. 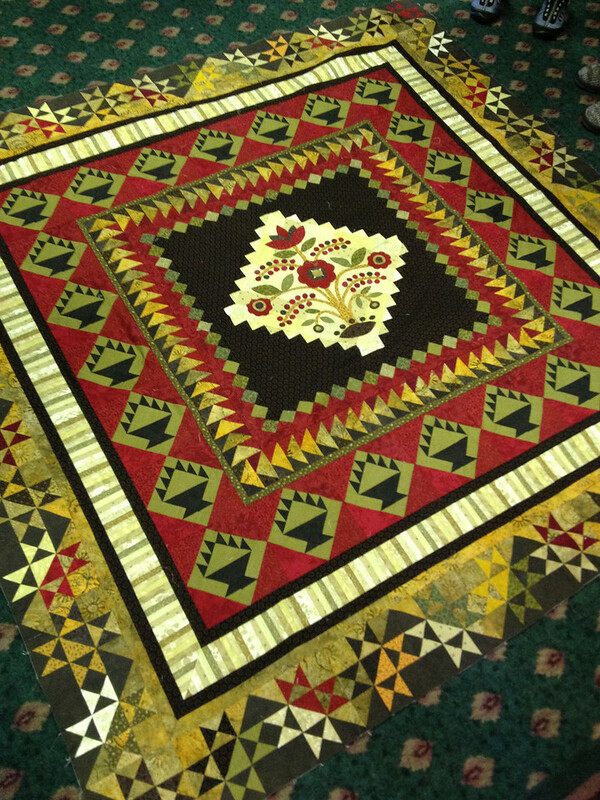 It the center of the quilt called Phebe by Di Ford. 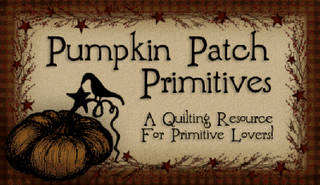 I bought the pattern as soon as I saw it because it was a dream quilt. Seeing someone actually working on it really inspired me to dust mine off. 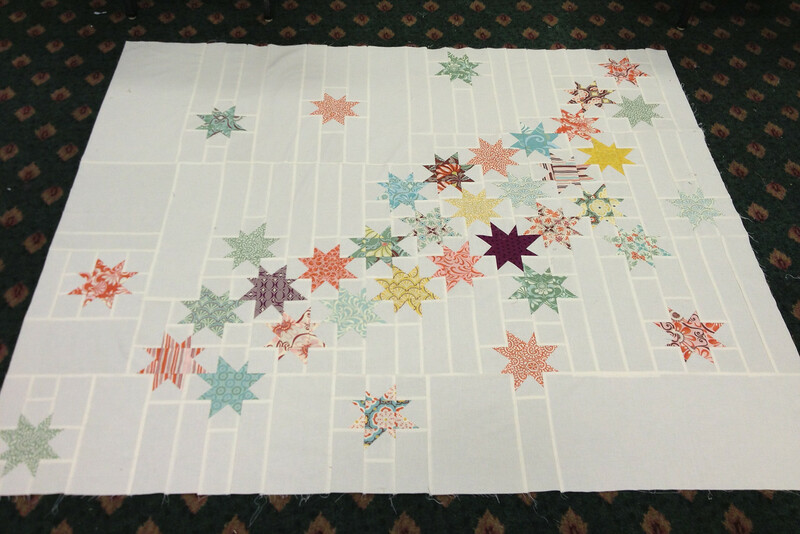 Nyshma was inspired to finish a quilt that had been banging around in her head for a while. The above was what it looked like. 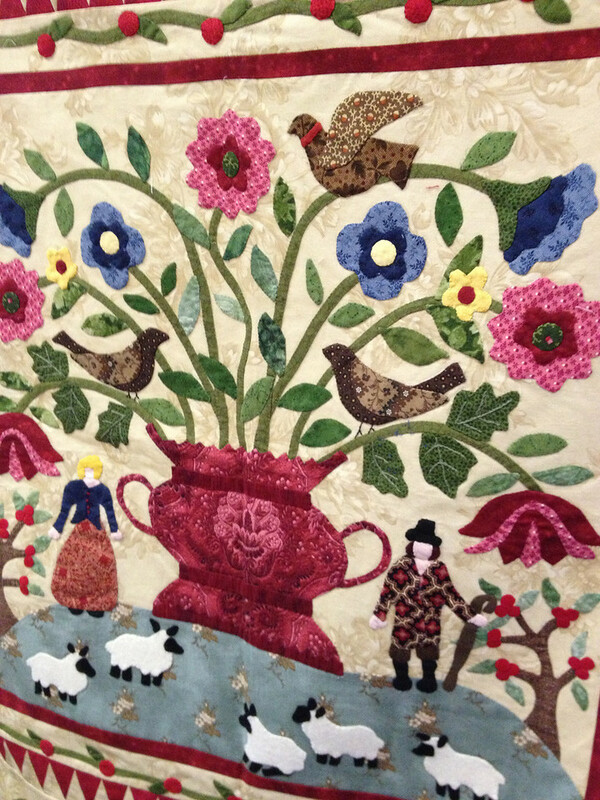 She has sent it off to be quilted so it can be put in the special exhibit on Modern Quilting at the Dallas Quilt Show in March. 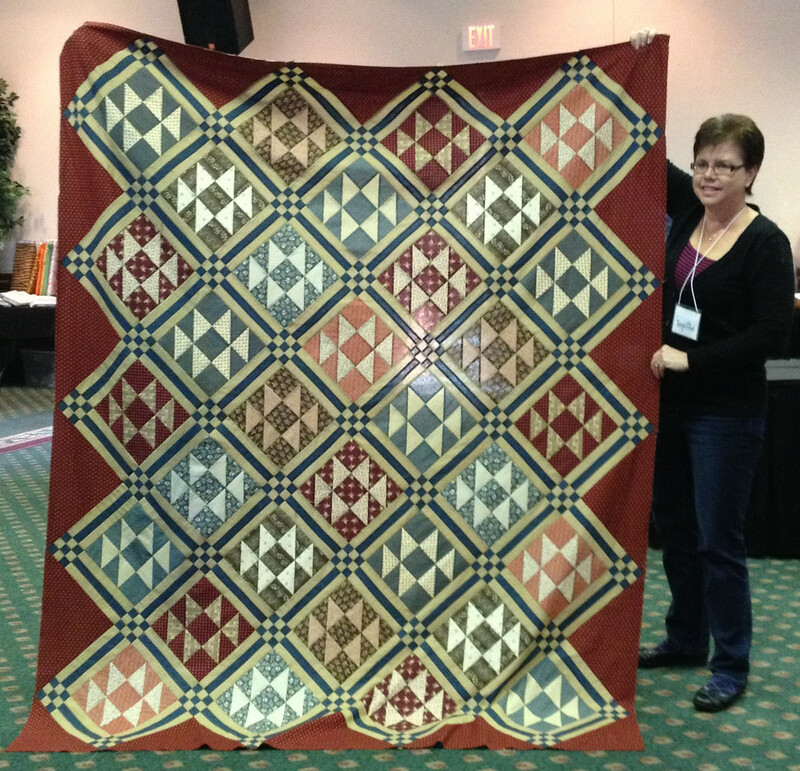 I actually finished two quilts while at retreat. But I'll leave that for my next post. 4 comments on "Quilty Friends on Retreat"
Wow! That is some incredible work!! It is amazing the inspiration we have on each other. 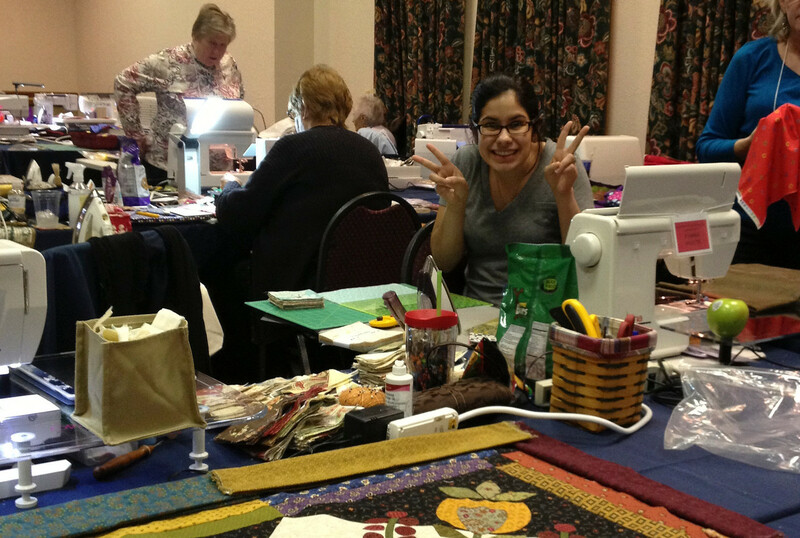 Lots of talented quilters at that retreat. So much eye candy to enjoy! Thank you for sharing. Sounds like fun, there must be tons of inspiration from seeing what others are doing.